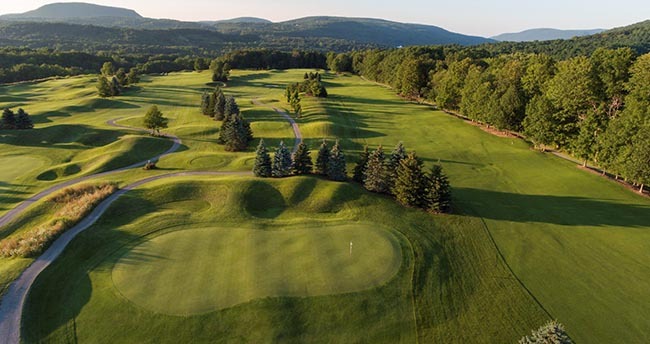 Reservoir Creek Golf Course | Finger Lakes | Golf Coupons | Go Golf U.S. Restrictions: Valid Monday - Thursday anytime. Restrictions: Valid Friday - Sunday anytime. Reservoir Creek Golf Course joined Go Golf U.S. in 2019. They have so graciously offered two coupons which allows you to play the course up to 8 times at a discount! The first golf deal is limited weekdays ONLY (Monday – Thursday). This allows our users to play at RCG for $35 including 18 holes AND cart. You MUST call for a tee time and let the shop staff know you are with Go Golf U.S.! The Weekend deal allows users to play 18 holes AND use a cart for $40 on Friday – Sunday at any time! Save yourself some money and go play Reservoir Creek today! It’s truly a gem of the Finger Lakes! You can purchase your eBook here for the year! Reservoir Creek Golf Course is located in Naples, NY. Under new ownership, Tony and Holly Deusenbery are looking forward to many good times on the course with everyone who comes to play. The idea of the team of designers and builders was to “lay the course gently on the land.” Their efforts were well rewarded – the course follows the natural contours of the hillside and is mature beyond its years. Being in the Finger Lakes region, be sure to make a day of the trip and stop at a few places and take in the beautiful views that New York has to offer.